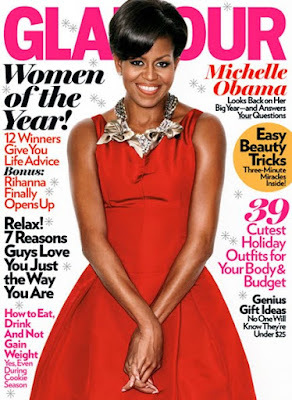 Check out Mrs. O on the cover of Glamour’s Women Of The Year December issue. It’s the first time in Glamour’s 70 year history that a First Lady has been the cover girl. Awesome! She's looking super glam and oh so fabulous.....loves her!